Filed to: Bueller?Filed to: Bueller? Is Ferris Bueller your hero? Do you know how to truffle shuffle? Does bustin’ make you feel good? 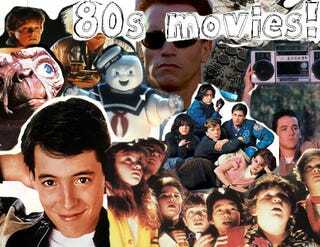 Or maybe you just watch a lot of classic 80's movies? Whatever the reason, there’s nothing quite like fully immersing yourself in your favorite movie by visiting the filming locations in real life, and we’ve got guides to some of the coolest filming spots from everyone’s favorite 80's classics. Ghostbusters: From the firehouse that housed Ghostbusters HQ to the apartment building designed to summon Gozer, there are loads of filming locations from this beloved film dotted across Manhattan. Just watch out for Slimer and the Stay Puft Marshmallow Man. The Goonies: From the jail where Ma and Francis Fratelli break Jake out of lockup to the beach where the kids find themselves after discovering One-Eyed Willy’s Treasure, the little seaside town of Astoria, Oregon is loaded with filming locations from the movie. Plus, the quaint little community hasn’t changed much since the movie was filmed here, so it’s not hard to recreate that feeling of childhood adventure. Ferris Bueller’s Day Off: “Life moves pretty fast. If you don’t stop and look around once in awhile, you could miss it.” Take a page from cool kid Ferris Bueller’s book and recreate the adventure he took Sloane and Cameron on across Chicago! Start at their high school (which, in the movie, was ruled by evil principal Ed Rooney) and end at the beach where the crew took Cameron after his spazz out. Note: this is best taken in a 1961 Ferrari 250 GT California Spyder.